I spent my first night winter camping at Afton Friday March 3rd, 2007 after a storm which dumped 1-2 feet of fresh snow on us. Snowshoeing in the powder was a blast! Low temp was 12 degrees. After a short 3/4 mile hike into the backpacking site #1 at Afton State Park, I immediately saw these 2 deer down below me. 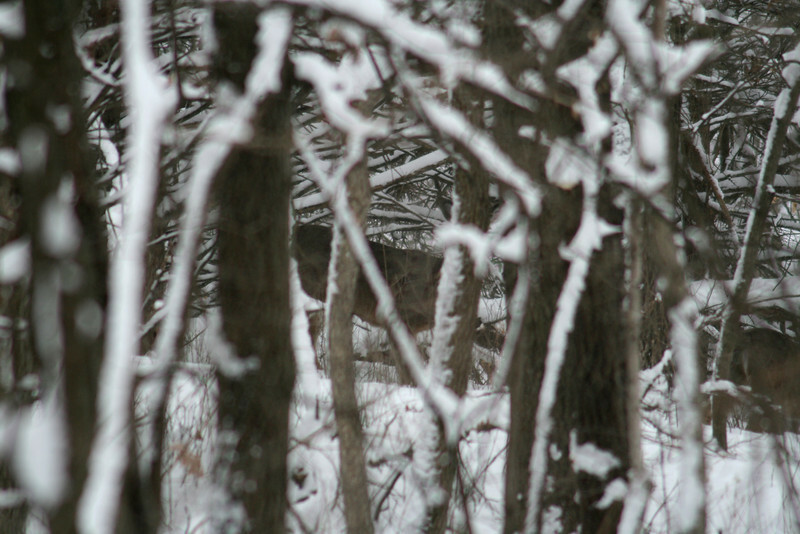 After setting up the tent, I took off to find their tracks and follow them through the woods.